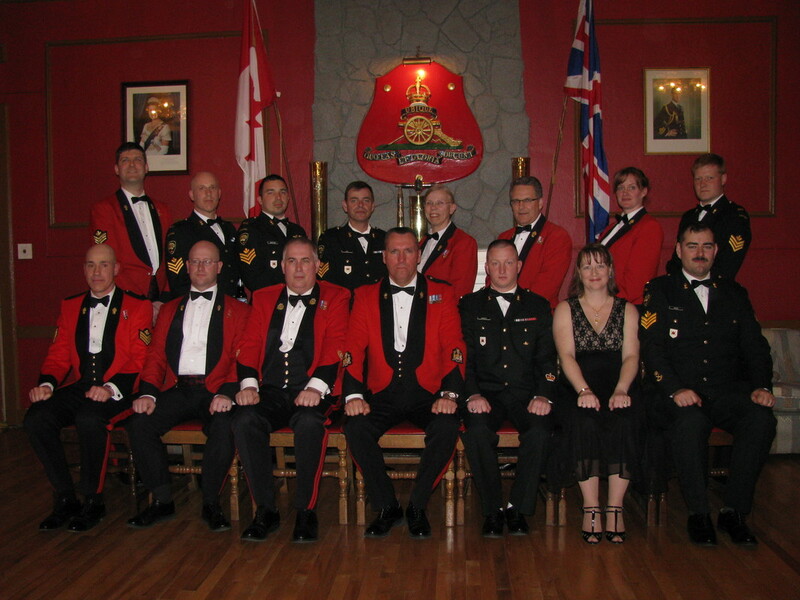 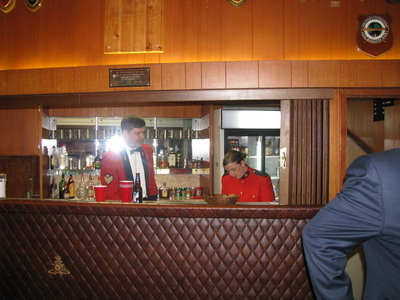 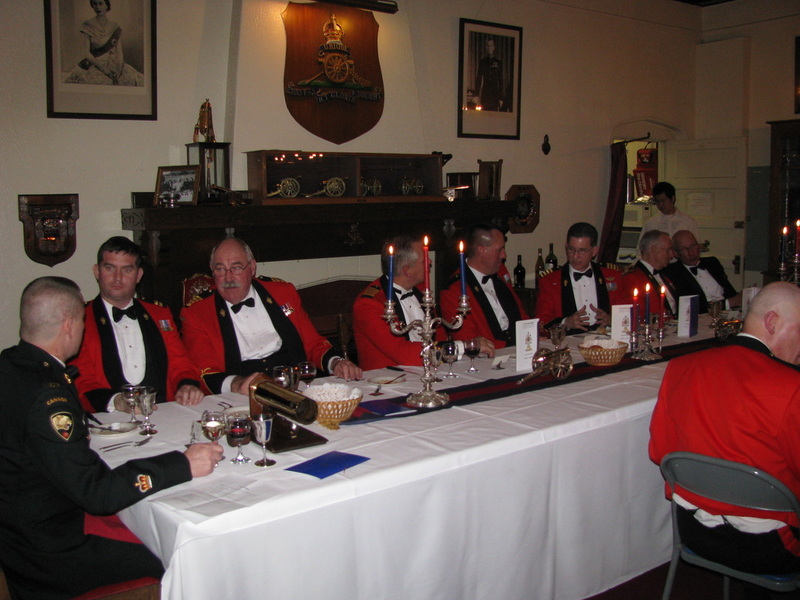 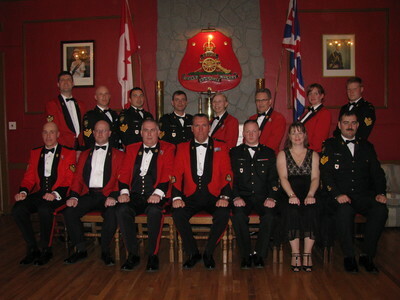 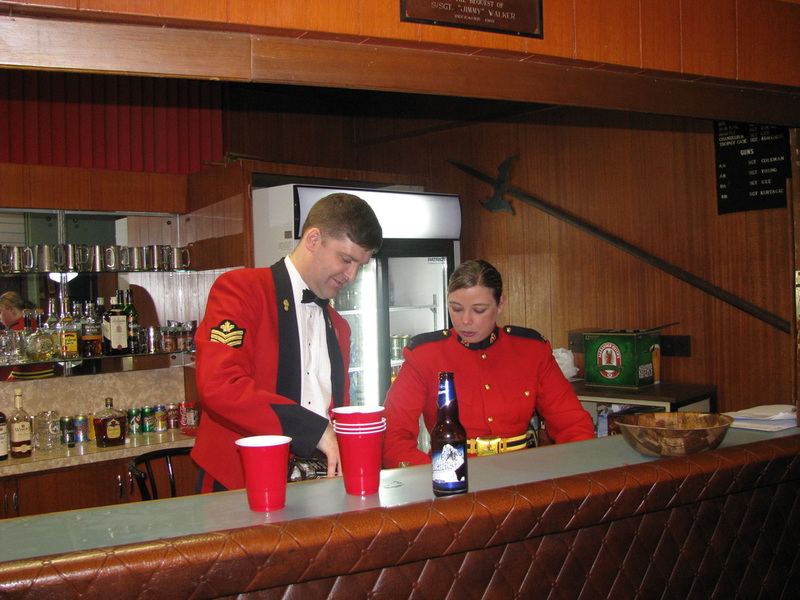 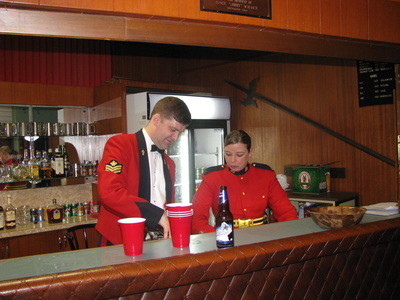 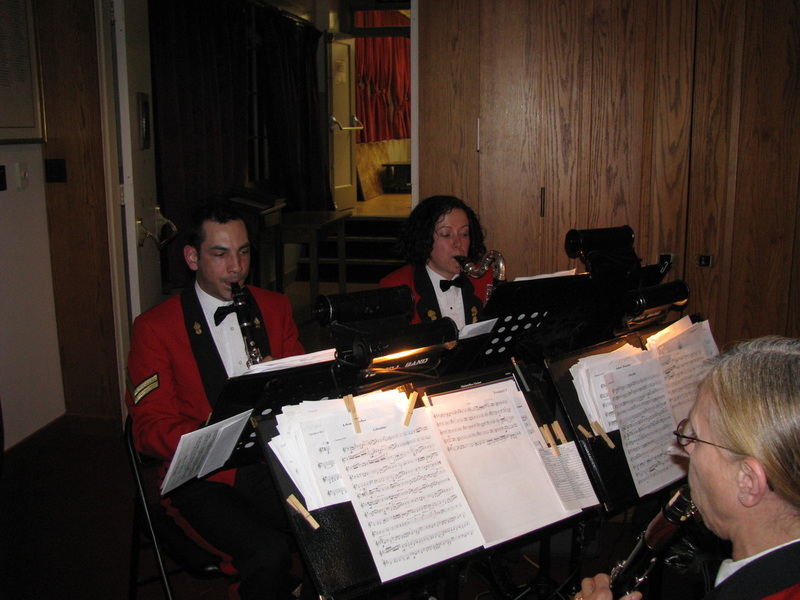 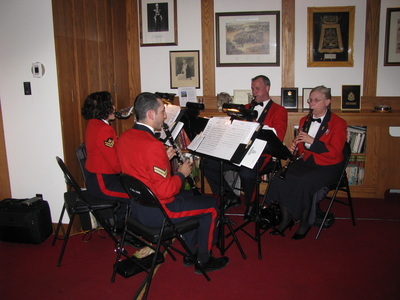 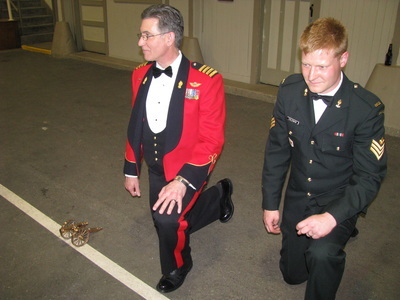 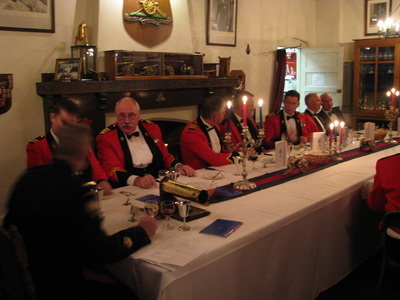 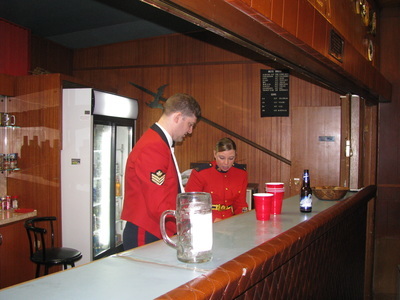 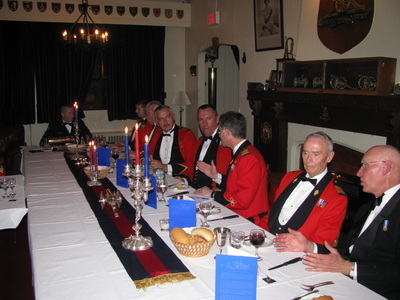 This year’s dinner was held in the Officers’ Mess. 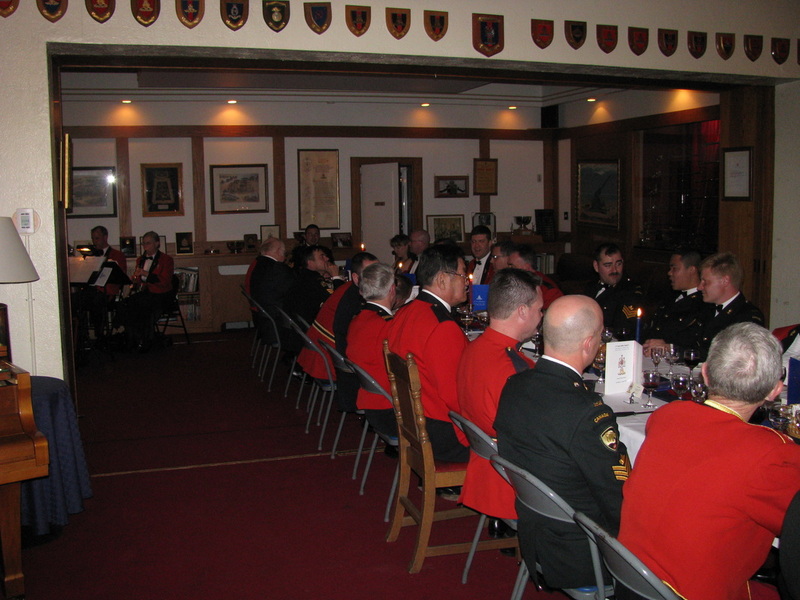 The head table had the Commander 39 Canadian Brigade Group, Colonel Richmond, CD and Colonel John Crossman from Joint Task Force Pacific. 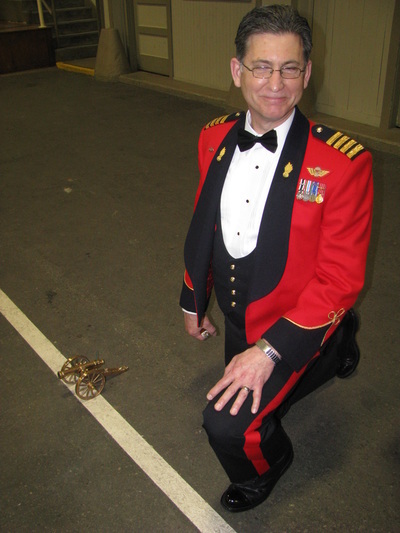 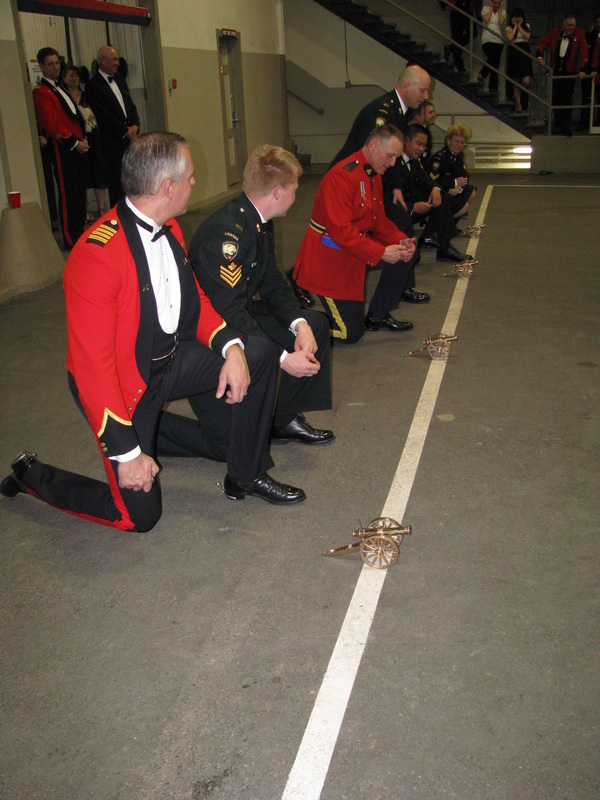 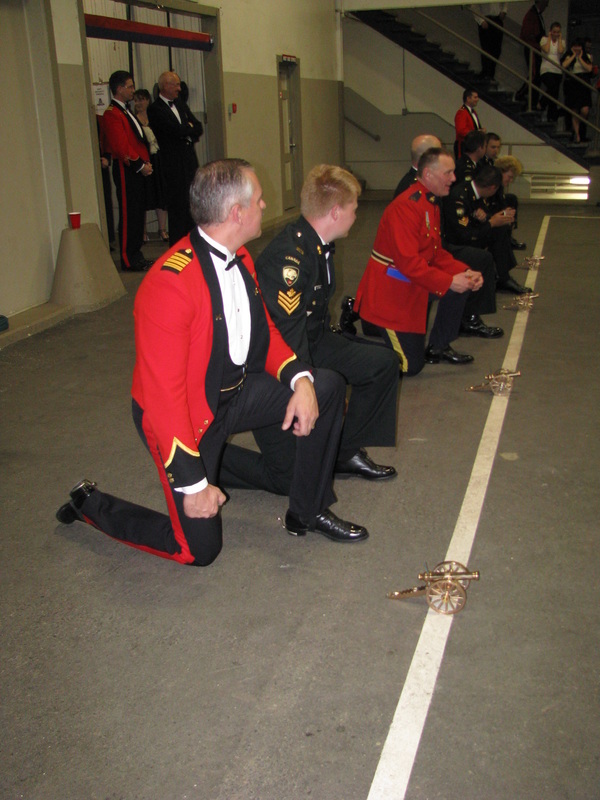 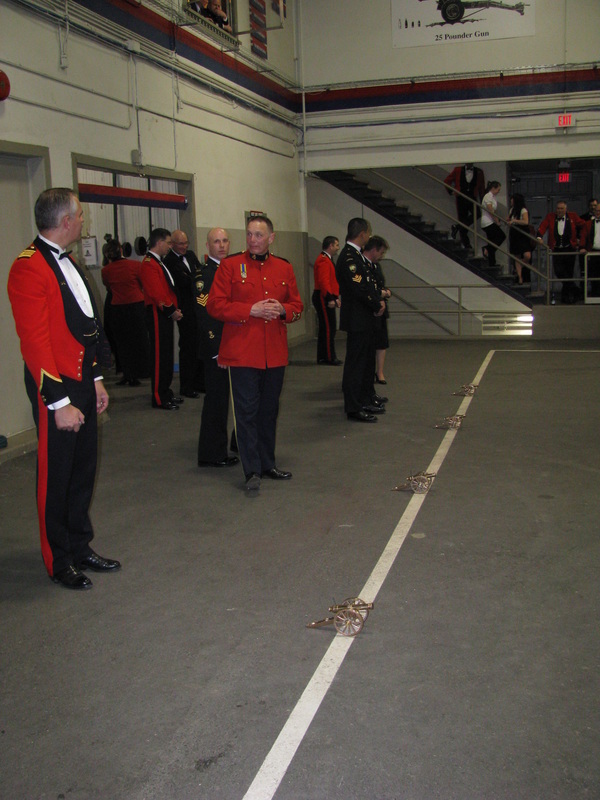 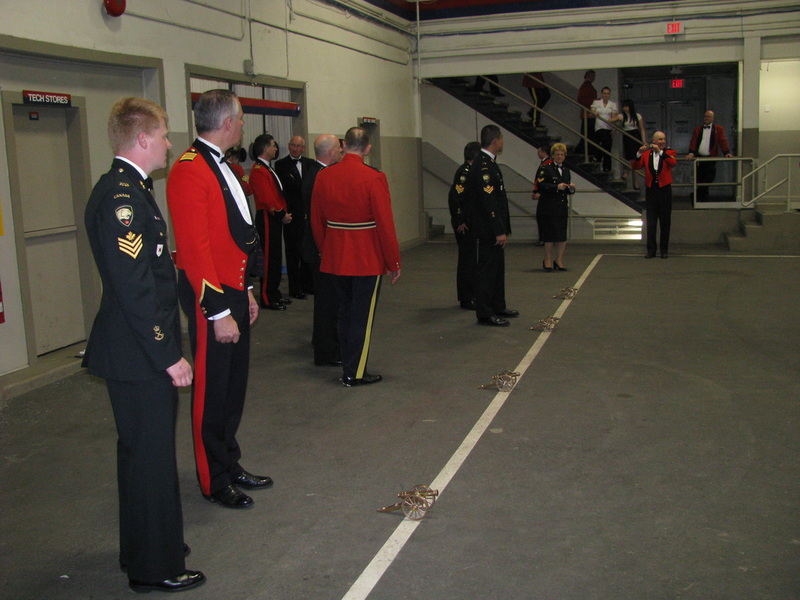 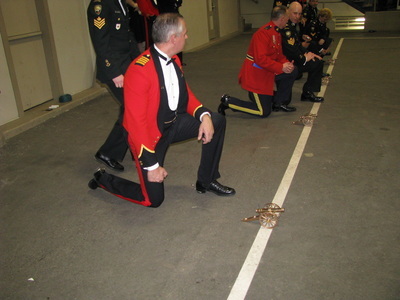 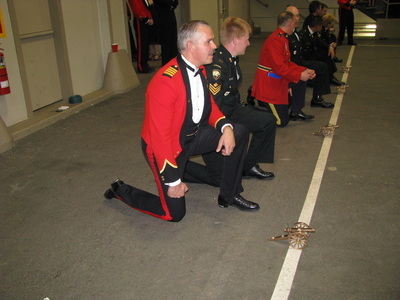 Another key component of the dinner is the gonging of new members of the Mess! 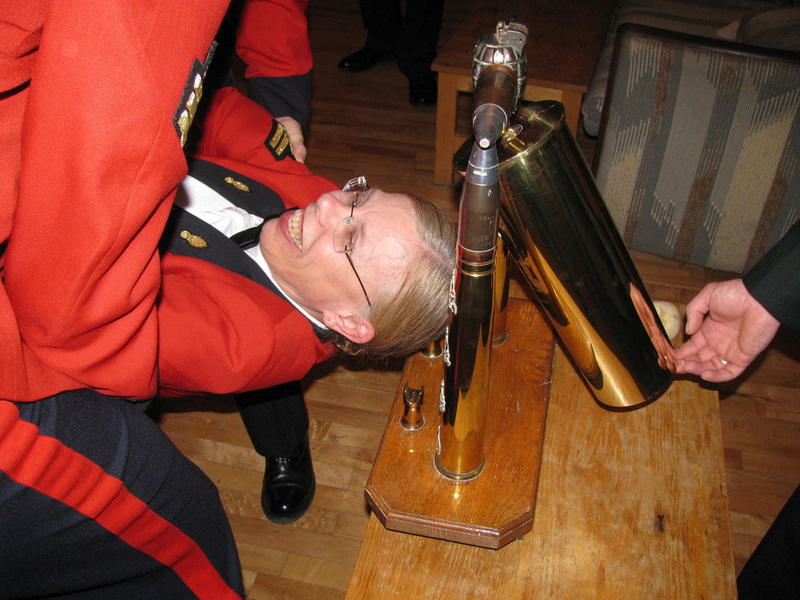 The gonging is a precise military movement in three stages. 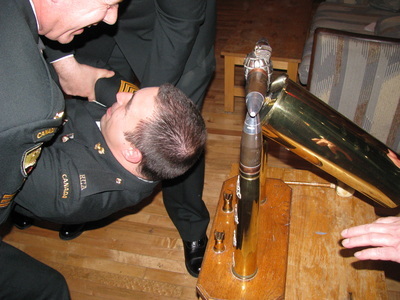 Stage 1 – The alignment – The intended gongee is placed in the appropriate position in respect to the gong. 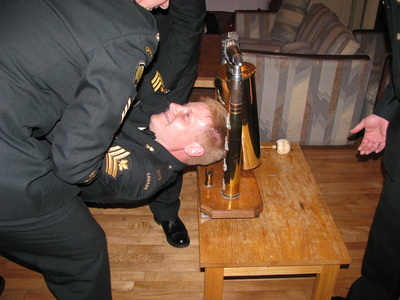 Regimental survey is not usually required. There is a need to ensure that the gongee is not brought into contact with the gavel stand at the base of the gong. These have been known to have drawn blood in previous misalignments. Stage 2 – The gong is primed to ensure that the appropriate contact is made with the top of the gongee’s head. 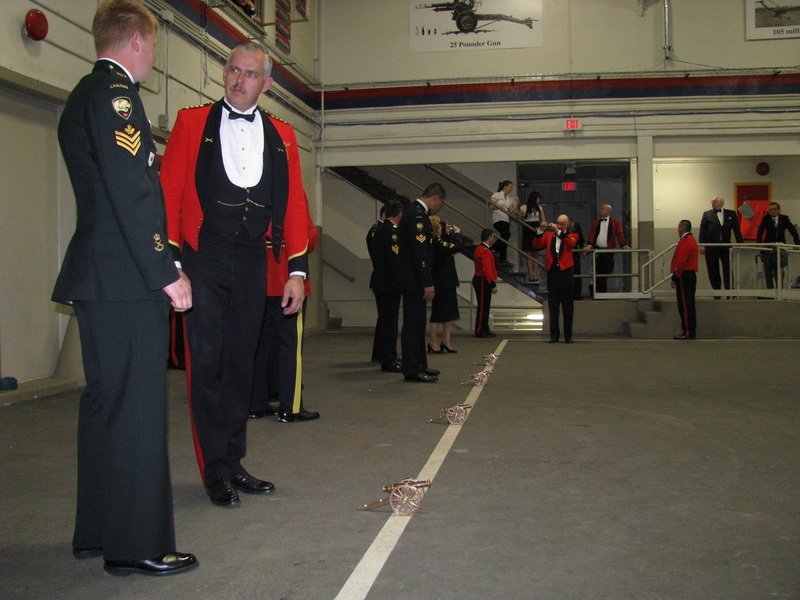 Appropriate alignment from Stage 1 is essential in ensuring that that a smooth transition takes place between Stage 2 and Stage 3. 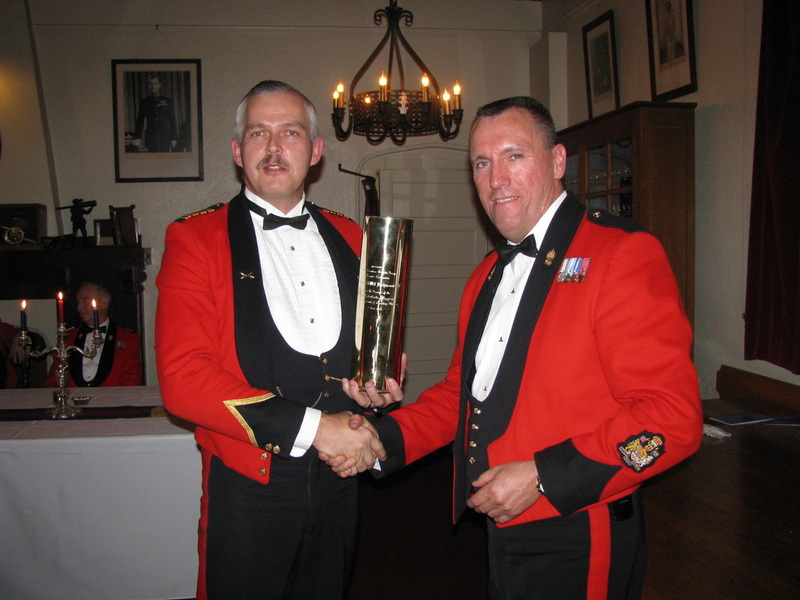 Stage 3 – Round complete! 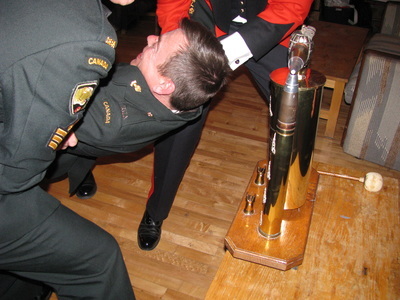 It is important to note that the gongee did not come into contact with the gavel supports, nor did the cap badge mounted on the front of the casing. 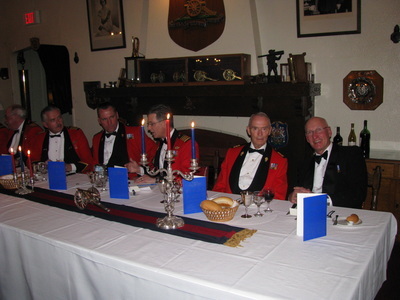 An excellent and successful round complete! 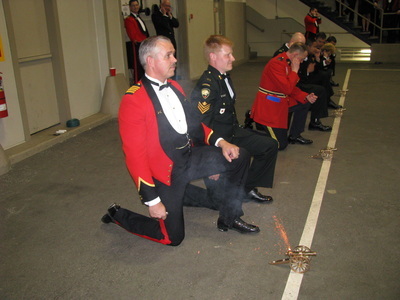 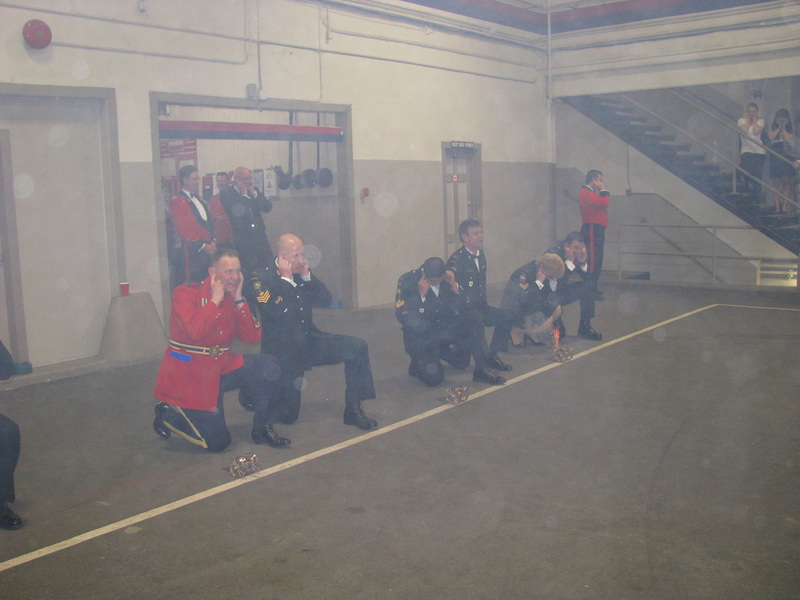 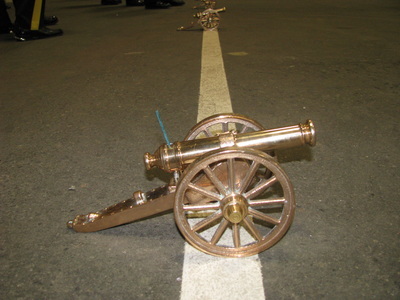 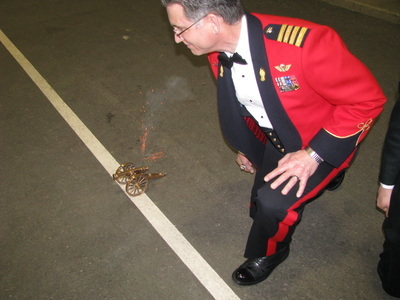 After the dinner comes the traditional firing of the miniature cannons. Guests are often invited to fire the guns (with the appropriate supervision).